Alzheimer's disease and other types of memory loss may affect short or long-term memories. Let's say you care for your father who has dementia. He may be able to tell you every Christmas present he received at age 10 but not recall the names of your children. He has more short-term memory loss. Or perhaps your mother is the one living in a memory care community. She may not know how to navigate her residence to get to the dining room. She might also not have much long-term memory. For each of these individuals, attending a family reunion will be a varied experience. Your dad might immediately recognize his siblings and cousins, but have no idea who the younger attendees are. You may be able to assist the senior in recalling who will be at the reunion by helping him or her study ahead of time. Consider gathering photographs of each person who is going to be at the event and writing their names on the photo. Spend a few minutes every day talking with the senior about who each person is. Simply sharing their names is a start, but dig deeper into who they are. If your sister's son is a carpenter and so was your dad before retiring, he's much more likely to remember because he has deeper connections to the individual. Make sure your family members know about their senior loved one's dementia. If your family doesn't gather or visit on a regular basis, they may have no idea that your parent has memory loss. It can be heartbreaking and confusing when the senior doesn't recall who the visitor is, so be sure that everyone is aware of his or her condition. Most people who have memory loss experience major fluctuations in recall abilities from day-to-day, so gauge the person's mental status shortly before the event to get a better understanding of what to expect. Memory loss isn't the only side effect of dementia and Alzheimer's disease. People with these conditions often become confused and agitated because they cannot remember things. 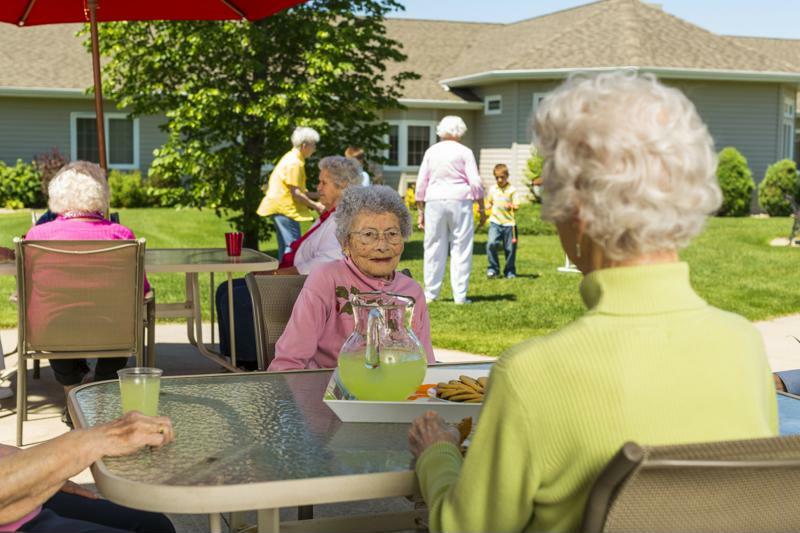 Attending a family reunion is likely quite a way outside of their routines and may throw off your senior loved one. Keep an eye on him or her in case you need to provide calming words or help the individual step away from the chaos for a while to relax. While the rest of the family may want to stay at the event for the whole day, the senior may become tired after an hour or two and benefit from returning home.